We take pleasure to introduce ourselves as one of the leading organizations, engaged in offering a comprehensive range of Protective Footwear. Our offered bar is highly demanded in the market for its elegant design, heat-resistance and durability. 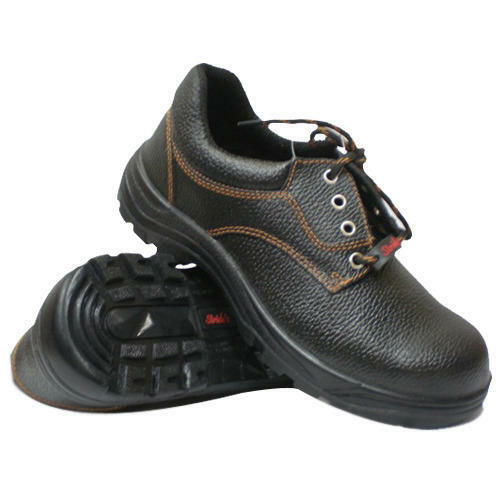 This footwear provides high level of safety to the wearer from electric shock, chemical, oils and other harmful materials. Moreover, footwear offered by us can also be availed in various sizes as per different requirements of our precious clients. Unique Industrials enjoying its business journey from the year 2011 in Andhra Pradesh, India. Our company is manufacturing, supplying, exporting, importing and trading a wide array of Power Tools, Rubber Products, Fire Safety Equipment, Welding Equipment, Industrial Flanges, Industrial Hoses, Industrial Safety Wears, Industrial Valves, Lifting Tools and many more products. Our latest techniques and methods for manufacturing and offering product impress lots of customers across the world. Our products are exported in gulf countries, Russian and many more. Our importers are in China, UK, USA and various others. The superior quality and innovative ideas of team helps us to offer durable and easy to use products. Our main motive is to share our technically advanced products and knowledge with the customers to meet their requirements. Our team communicates with customers to understand their requirements and exceed their expectations. The industry standards, policy and others are followed while manufacturing, testing and others activities to ensure delivery of quality approved products to the customers.